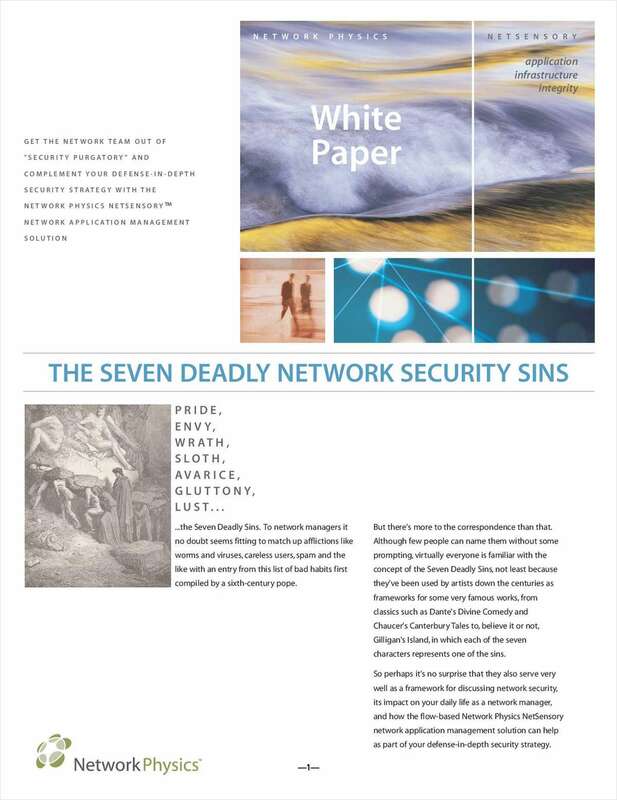 "The Seven Deadly Network Security Sins: A How-to Guide for Protection"
Free White Paper: "The Seven Deadly Network Security Sins: A How-to Guide for Protection"
The NetSensory network application management solution gets the network team out of "security purgatory." Quickly catch up with worms, viruses, and rogue applications, and the lazy or malicious users behind them. By submitting this content request, I have legitimate interest in the content and agree that Network Physics, their partners, and the creators of any other content I have selected may contact me regarding news, products, and services that may be of interest to me.